/ Student of the Month April 2015! Student of the Month April 2015! 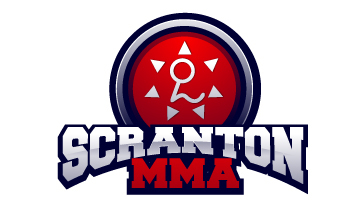 Scranton MMA will now be awarding the student of the month title to one deserving kid every month! The instructors will keep an eye out for the child who has been standing out in class. They will pay attention to their progress in class, their attitude during training or competition, and how they act off the mats. The child who exhibits the best characteristics on and off the mats will be awarded Student of the Month! After much deliberation, we have decided that our student, Luke is student of the month for April 2015! During class, Luke always pays attention and listens to the instructors. He puts everything he has into every drill and every sparring session. He’s also a huge help to the instructors by running the warm ups and keeping the younger students in line. In competition, Luke never gives up and always has a good attitude whether he wins the match or not. 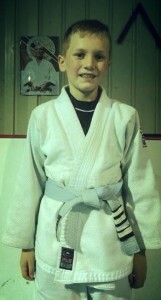 Whether Luke is on or off the mats, he always has a huge smile on his face and exhibits a positive attitude. Luke is a huge asset to the Scranton MMA kids program and should be seen as a role model to the other kids! We’re proud to have him as student of the month for April! Luke is just one of the many talented kids we teach here at Scranton MMA. All of our students have been doing a great job picking up on the techniques we teach them. Being in a fun environment with their friends helps the kids learn while having a good time. If you think your child might be interested in learning self defense in a fun environment, call 1-800-748-9910 or email us at ScrantonMMA@gmail.com!